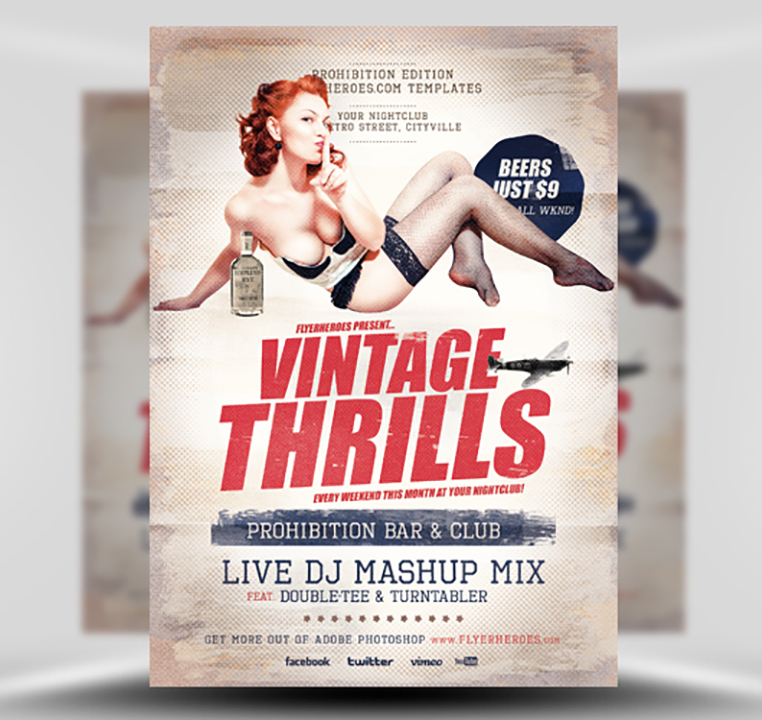 Vintage Thrills is the only vintage-retro style flyer template design you’ll ever need. Whether you’re promoting a 1920s-1940s period event, a classic car show, veterans memorial or just a retro / vintage fancy dress event – Vintage Thrills is right for you! 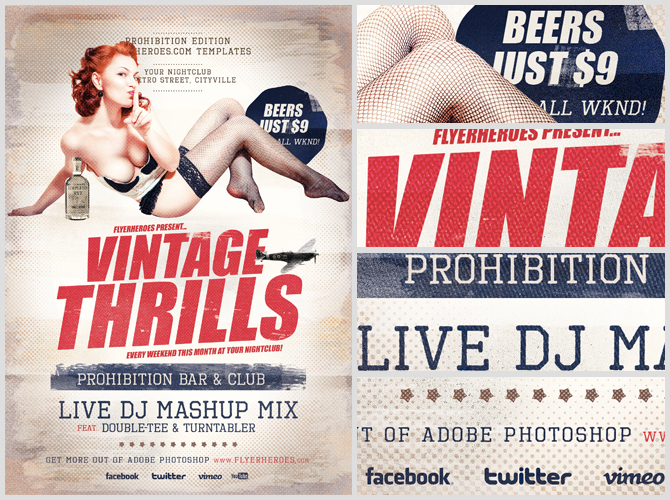 To give a truly authentic and vintage feel to this flyer design it was created using hand-made brush strokes and genuine paper textures that were each manually scanned in to the digital canvas. Also used are halftone patterns giving a vintage offset printing effect, along with a multitude of grimy scratched overlays to top off the aged appearance of this remarkable vintage design. Regardless of how you customise this template, you’ll easily produce awe-inspiring results with a whole bunch of fun along the way! 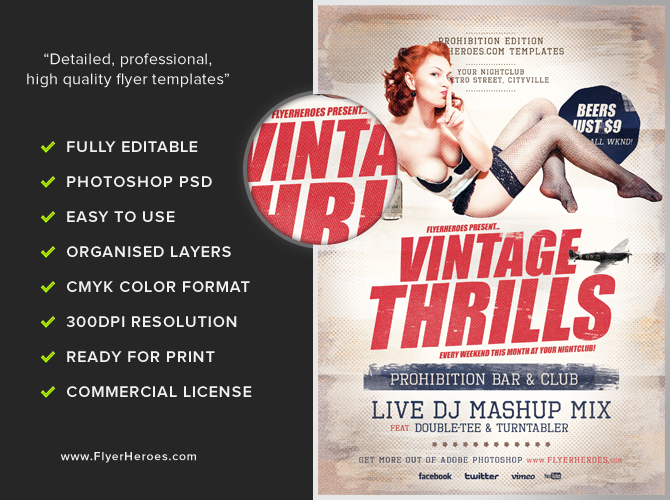 Vintage Thrills Flyer Template is a premium Photoshop PSD flyer / poster template designed by FlyerHeroes to be used with Photoshop CS4 and higher.